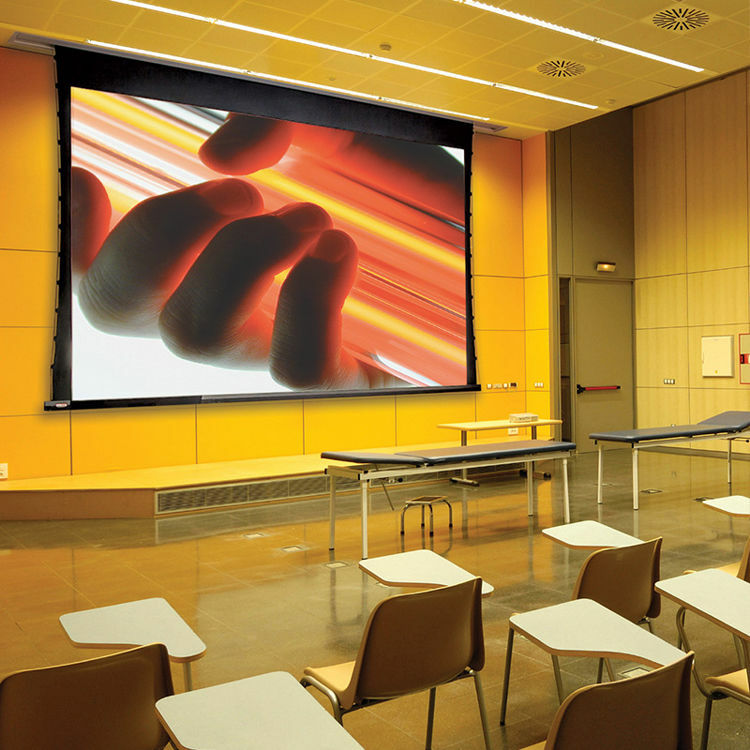 The 120V 145010FN Ultimate Access XL/Series V 108 x 192" Motorized Screen from Draper is a tab-tensioned electric projection screen for ceiling-recessed installation. The series carries over improvements made to the Access case, including the same re-engineered Access bottom closure panel that is easier to attach, and has an improved overall engagement with the screen housing. An improved "T" bracket engagement allows the panel to hinge downward for service, eliminating the need to make extra trips up and down the ladder carrying the closure. The screen features an independently motorized ceiling closure. In its closed position, the motorized closure forms a solid bottom panel giving the ceiling a clean appearance. At the touch of a switch or wireless transmitter, the door of the Ultimate Access/Series V opens into the case before the viewing surface descends into the room. Your audience will notice its precision timing and quiet, fluid movement.